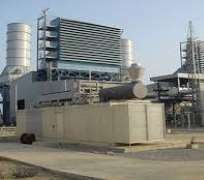 Management of Egbin Power Plc, has restated its commitment to fast-track its planned investments in additional gas pipelines, the proposed Floating Storage and Regasification Unit (FSRU) project for the Egbin Phase 2 project with an estimated capacity of between 1,350 Megawatts, MW, and 1800MW using modern technologies as well as the deployment of renewable energy sources to boost the plant’s productivity. The Plants chairman, Kola Adesina who spoke at the unveiling of the company’s second sustainability report assured of the management commitment to lift the capacity generation of the firm in its expansion drive. The report with the theme ‘Securing our Future’ highlighted the company’s efforts toward ensuring the satisfactory management of its assets, operations, and relationships to enhance transparency and build a sustainable future. power Adesina said: “We firmly believe that sound corporate governance and sustainability reporting can directly impact business growth. Therefore, we are quite delighted to unveil Egbin’s second sustainability report, as the company remains committed to taking all necessary steps to achieve business sustainability. “Egbin Power Plc is working in collaboration with other stakeholders to drive the adoption of a strategic direction that would reposition the sector for optimized performance. The company is set to leverage on the recently declared Eligible customer regime and mini-grid regulations to advance system stability and improved service delivery.’’ He noted that the plan would enable power sector operators to establish various resolution mechanisms to deal with critical challenges within the system to increase generation capacity. The Sahara Group is working through KERL, a Special Purpose Vehicle, and acquired majority shareholding to complete Egbin’s privatisation in 2013. Following its privatisation, Egbin has continuously invested in human capital and infrastructure upgrade to enhance efficiency. He stated that the company which recorded a ‘first’ in the power sector in Nigeria after it published its 2015 maiden sustainability report last year, the 2016 edition further reinforces Egbin’s commitment to good corporate governance and powering lives and businesses sustainably. The report was prepared using the new Global Reporting Initiative (GRI) Standards which promote international harmonization in the reporting of relevant and credible corporate economic, environmental and social performance information to enhance responsible decision – making.